The Superintendent of a school district in Pennsylvania is under fire after coming up with a plan to arm students with rocks to scare off and or stone a potential shooter to death. Does he have rocks for brains? 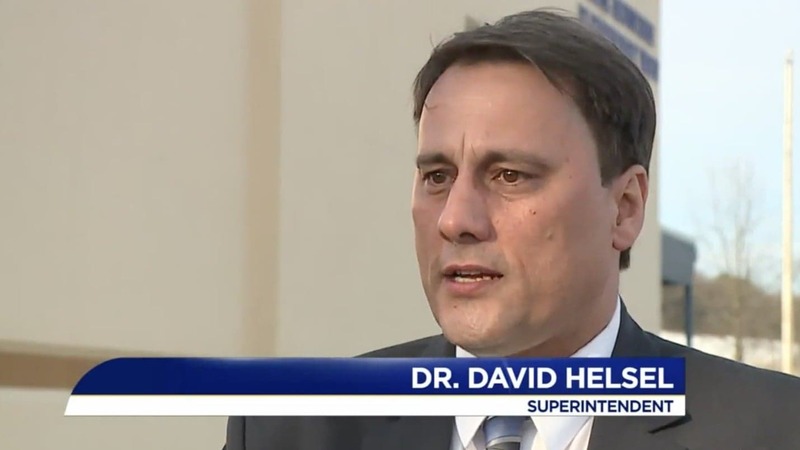 Dr. David Helsel of the Blue Mountain School District, drew criticism after telling legislators in Harrisburg about his rocky strategy and says students received Alert, Lockdown, Inform, Counter, Evacuate (ALICE) active shooter training, reports WGNTV. “Every classroom has been equipped with a five-gallon bucket of river stone. If an armed intruder attempts to gain entrance into any of our classrooms, they will face a classroom full students armed with rocks and they will be stoned,” said Helsel, testifying to the House Education Committee last week in Harrisburg. After the Parkland shooting in Florida, many are calling for legislators to implement stricter gun laws. Florida even passed a bill to arm some teachers but some think this rock-stoning strategy is primitive. “I think that’s rather comical,” said one college student in Schuylkill Haven. “It’s absurd, arm the teachers,” said a parent. Helsel, however, supports the idea and think students can really get a handle in things in an active shooter situation. “At one time I just had the idea of river stone, they’re the right size for hands, you can throw them very hard and they will create or cause pain, which can distract,” Helsel told WNEP. The staff and students were not only given the active shooter training with the shooter simulations but each classroom will have a five-gallon bucket of rocks kept in the classroom closet, ready for aim and action. Let’s just hope a kid doesn’t take a rock and knock a student upside the head. The rocks, Helsel said, are seen as a last resort. Some students do like this idea. Dori Bornstein, a parent, supports the plan. “At this point, we have to get creative, we have to protect our kids first and foremost, throwing rocks, it’s an option,” she said. And just in case teachers and students can’t fend off an active shooter, the Superintendent says that an armed maintenance employee will be working at the school and trained on how to handle a shooter.